Last week, we had a chat with Rachel who owns this villa in Murcia, specifically on the La Torre Golf Resort. 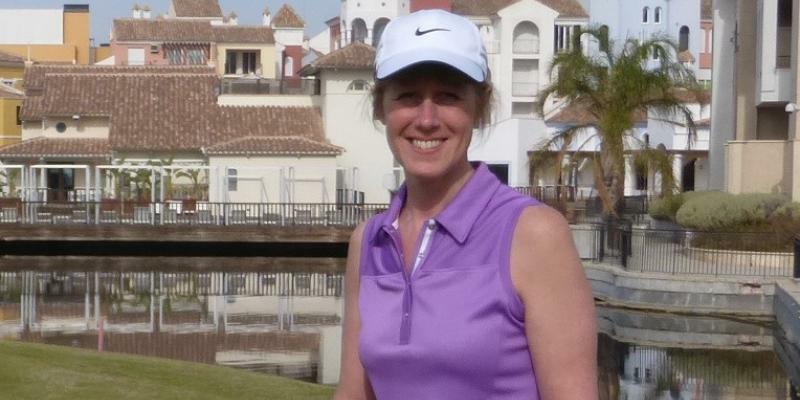 Rachel and family enjoy golf, sailing and windsurfing - all of which can be tried by guests when they visit! She tells us a little bit about her property and why she loves Murcia. Hi Rachel, tell us a bit about your property and its location. Our holiday home is a detached 2 bedroom and 2 bathrooms air-conditioned villa with a private pool and sun terraces on the 5 star La Torre golf resort in Murcia, Spain. The La Torre resort boasts an 18-hole Jack Nicklaus designed golf course as well as bars, restaurants, supermarket, large communal pools, children’s play areas and tennis courts. 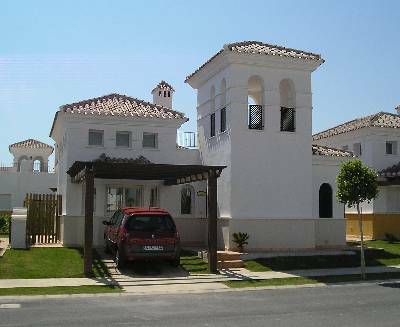 The supermarket, town centre and golf clubhouse are within a few minutes walking distance of the villa. Also provided in the villa for the use of guests are mountain bikes, handy for getting to the tennis courts or simply for taking a ride around the resort. Tennis racquets and golf clubs are also provided. In addition to many other golf courses within a half hour radius, this villa is also conveniently positioned for visiting the beautiful beaches of the Mar Menor and the ancient cities of Murcia and Cartagena. I love Murcia because it is a relatively undeveloped area of Spain with rugged mountains, rolling green fields, golden sandy beaches and crystal clear waters. The area enjoys an annual average temperature of 20°C and nearly 3000 hours of sunshine. It is a region lapped by the waters of the Mediterranean Sea and the Mar Menor. There is plenty to do in the Murcia region. In addition to the many golf courses, activities available in the surrounding area include diving courses, boat trips on the Mar Menor, yacht charters, windsurfing, jet skiing, canoeing, orienteering, sailing tuition, hiking, sightseeing trips, deep sea fishing, mountain biking, horse riding, rock climbing or simply visiting the beautiful beaches. We have learned to dinghy sail and windsurf in Murcia – it is the perfect place to learn as the water is lovely and warm! We have had many families with small children staying at our villa, often returning several years in succession. They have appreciated the thought we have given to families. A cot and high chair are provided, as is plastic crockery and cutlery. A large garden box next to the pool contains a choice of pool toys, arm bands and even a paddling pool for our smaller guests. A safety fence is also in place around the pool for parents’ peace of mind. Couples looking for a peaceful holiday in the sunshine also enjoy the villa, with a convenient private pool to cool down in and 2 lovely terrace areas to enjoy outdoor eating and the odd glass of something. One couple have enjoyed their relaxing stays at the villa so much they have just visited for the 14th time! Temperatures in the winter allow for year-round golf in Murcia. For golfers the area offers some outstanding choices of golf resorts, including our very own fantastic 18-hole course on the resort. Indeed, since purchasing the villa and being on the resort regularly I have been inspired to learn to play golf and am now as fanatical a golfer as my husband. I am lucky to have a fantastic couple looking after the villa for me. Maggie and Les live on the resort and are meticulous in their preparation of the villa itself, the outside spaces and the swimming pool. Guests have given them glowing reports. I always contact the guests before their visit and send them a slide show I have prepared that includes extra information on the villa, the resort and the surrounding area. I encourage them to ask me any questions they might have and offer a welcome pack if they would like one. In the villa itself, we have provided everything we can think of to make our guests’ stay as comfortable as possible. As well as the usual digital TV, DVDs, books, games, WiFi, etc, we have included the little extras that are often missing when you arrive at self-catering accommodation e.g. the basic supplies that you usually need to dash out to the shop for (like dishwasher tablets, washing tablets, cloths, salt and pepper, etc!). Finally, give us a recommendation for your favourite local activity. This would have to be a round of golf at La Torre, finished off with a cooling beer on the terrace outside the resort’s golf clubhouse – the perfect way to start a day’s holiday before relaxing by the pool for the afternoon!